Save 20% on your regular price when you buy all 4 of David Knapp's prints. 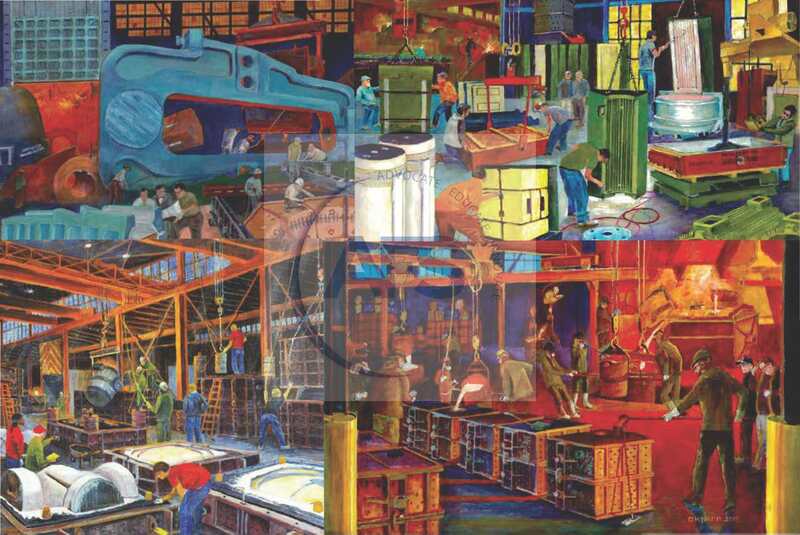 These colorful prints depicting scenes from Blaw-Knox, Decatur, Glidewell Specialties, and Maclean foundries are vivid with color and rich in detail. They are an ideal gift for the foundry person, in offices or lobbies. The print area is 8.25" x 12.75" on 11 x 17 cardstock. David Knapp has had a long career, not only as a foundryman, but also as an artist. He has been painting foundry scenes since 1971.